As Christmas draws near it is interesting to see how publishers market their festive books. 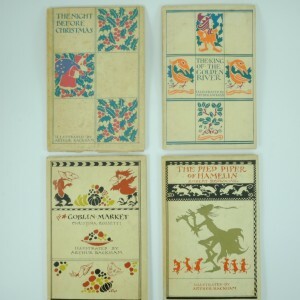 Consider the four “Uncommon Christmas Titles” collection illustrated by Arthur Rackham. 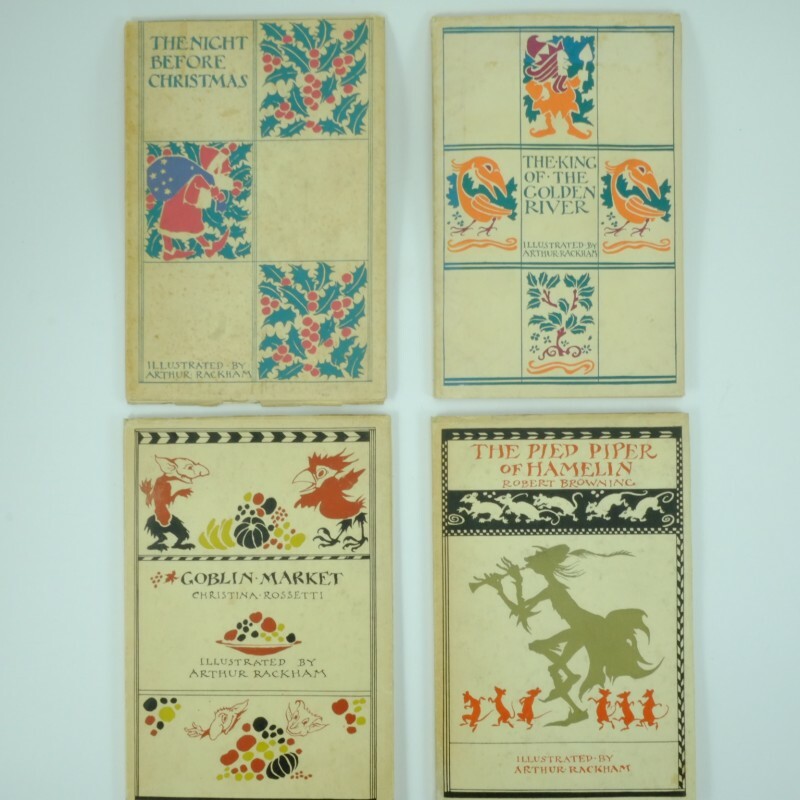 These are four soft backed smaller books, The Night Before Christmas (1931), The King Of The Golden River (1932), Goblin Market (1933) and The Pied Piper of Hamelin (1934). Clearly not all these titles are Christmas related. It is interesting to wonder why they make such a good match. In the 1930’2 new techniques of printing were emerging effecting the market for Rackham’s typical limited edition books with tipped in illustrations. The financial downturn of the American and British economy was influencing consumer spending and the luxury of Rackham elaborate plate illustrations was becoming a thing of the past. A new kind of Rackham book was needed and Rackham changed publisher to Harrap & Co, London in 1928. Harrap responded to the change in the consumer market by proposing that a slimmer book printed on thinner paper was produced. The plates would be printed on coated paper bound in at intervals within the text. Harrap did not lose sight of the need for an “upmarket” edition alongside the ordinary edition and continued to produce a number of limited edition books. As Rackham comments to Alwin Scheuer in 14 March 1931, “There is a fashion for publishing only limited editions that my books are in rather a curious position. The ordinary editions do not sell so large a number as of old, and the limiteds are largely over applied for- whereas, formally, in one or tow cases happily, the limited editions were not immediately sold out.” (Butler Library Columbia University New York). Rackham and Harrap agreed a successful arrangement whereby two Rackham books were published annually. One was the smaller book and the other a slightly longer and more elaborate book. The smaller ones were released for the Christmas trade.The first trial of this was in 1931 when The Complete Angler and Clement Moore’s, The Night before Christmas was released. Sales of the limited edition of the latter was particularly brisk. 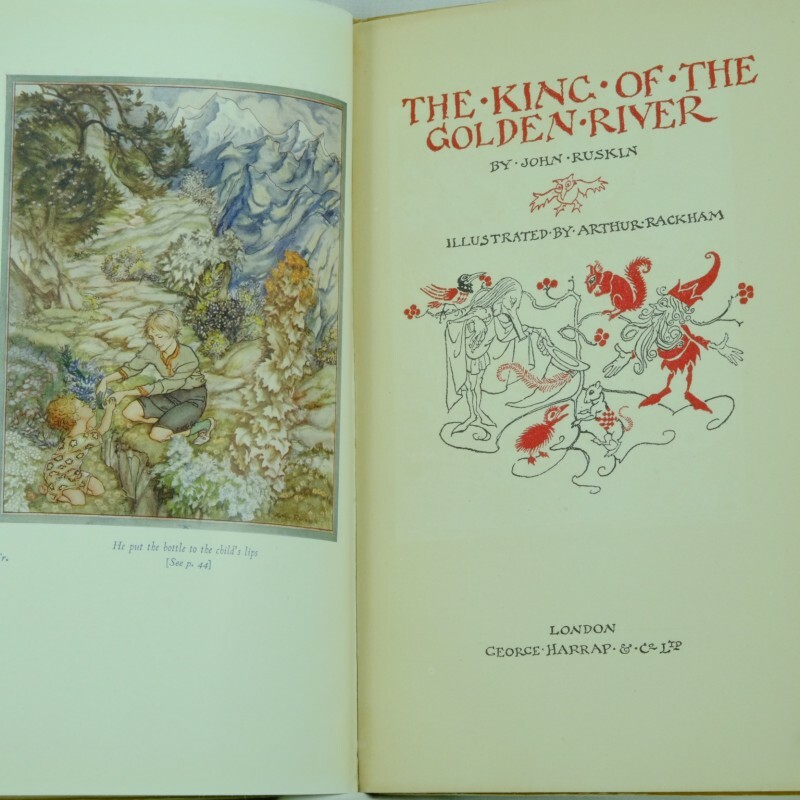 The following year Fairy Tales by Hans Christian Anderson and John Ruskin’s King of the Golden River were released. In 1933 The Arthur Rackham Fairy Book with Christina Rossetti’s Goblin Market was the chosen works. 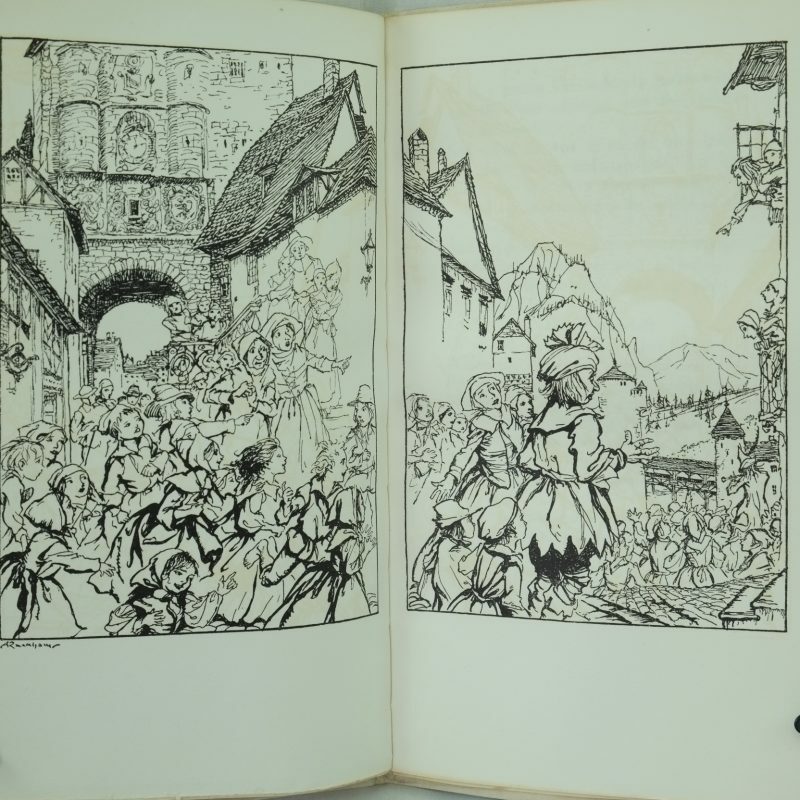 Rackham’s pace of work altered for the next year and the Pied Piper Of Hamelin was the only book published in 1934. Rackham was nearing the end of his career in the 1930’s yet the quality of his illustrations remained intact with all these publications. “The style of work for a series of poems published by Harrap and Sons in the early thirties returned unashamedly to the early style.” (Gettings, p. 161). Over this time Harrap and Rackhams’ publications the four smaller books published were of the same style. Each had soft covers with four dazzling colour plates plus black and white illustrations throughout the text. Clearly the marketing strategy of Harrap was successful and sales of the books were good. The four smaller books make a good fit and it is these publications that form the “Uncommon Christmas Titles” that we recognise today. They would indeed make an ideal Christmas gift for a Rackham collector today. Collectors of spy thrillers might struggle to build up a collection if they start with one of the classics, The Riddle of the Sands, by Erskine Childers. It was the last and only spy novel he wrote! However, not to have his book in your collection would be to miss a trick. It is credited with being the forerunner of adventure novels that are based on facts yet remain true thrillers. Published in 1903, the book predicted the threat of war with Germany and called for British preparedness. The thriller was set within a plot of a yachting and duck shooting trip for two young men which turns into an adventurous investigation into a German plot to invade Great Britain. 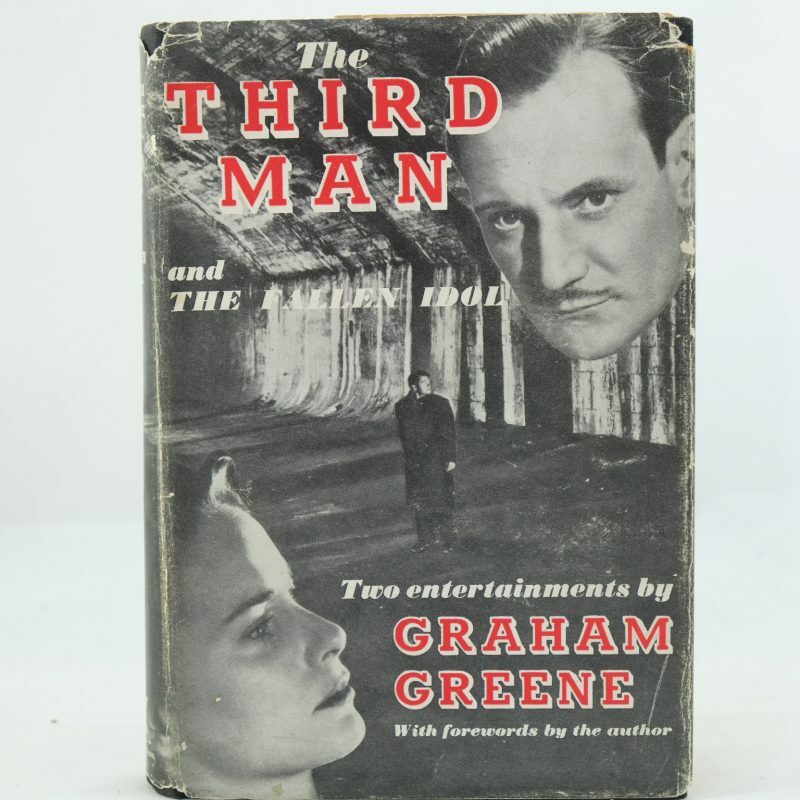 It is credited as a a precursor of factual spy novels such as John Buchan, Ian Fleming and Ken Follet. He certainly knew the military facts of the time. His first book, In the Ranks of the C. I. V. describes his accounts in the Boer War whilst he was serving with the Honorable Artillery Company in Southern Africa. His long descriptive letters were sent home to his sisters. The public’s interest in the war was growing and the letters were published in book format to some success in 1902. Childers then went on to collaborate with his colleague, Basil Williams, on a more formal book, The HAC in South Africa, which described the history of the regiment’s part in the campaign. However Childers must have known there was a novel in him working on a script for The Riddle of the Sands since 1901. He had been a sailing enthusiast for many years owning several vessels since 1893. He sailed extensively across the channel and even to the Baltic, Nordenhay and the Frisian Islands with his brother. These wide sailing experiences along the German coast plus his wartime forays provided essential factual material for his adventure novel. The novel was published with wide acclaim and it has never gone out of print. The significance of the book is even more intriguing considering the context of the life and time of the author. The novel depicts patriotic characters who perform courageous struggles for king and country. Yet Childer’s mother was Irish and he had always been interested in the cause of Irish Home Rule. He took this up seriously after WW1. Although Riddle was an instant bestseller, Childers never wrote another novel. Instead he concentrated on military strategy manuals before entering politics and eventually becoming a staunch Irish nationalist smuggling guns to Ireland in his sailing yacht. He was executed by a firing squad in 1922, by order of the Irish Free State. Childers describes the novel as “… a story with a purpose” written from “a patriot’s natural sense of duty”. It is certainly a book of significance. In 2003 many centenary editions were produced: the Observer included it on its list of “100 Greatest Novels of All Time” and The Telegraph noted it as the third best novel of all time. It remains a hugely influential book in the spy genre – and certainly one to add to any collection of first edition spy books! Rudyard Kipling has long been recognised as on e of the most authentic writers during the British Empire of the early 20th century. Some of his works are clearly of their period yet the Just So Stories have endured the passage of time. They are as appealing to children today as they were when they were written in 1902. The stories of how animals came to be as they are remain fanciful and intriguing. Each tale relates how the animal is modified from it’s original form by the acts of mankind, or some other magical act. For example, The Camel refuses to work and is given a hump as a punishment, allowing him to work for longer with less food breaks. The Whale swallowed a sailor, who then tied a raft inside the whale’s throat to impede further ingestion of men. The end result was a smaller throat for the Whale. Kipling first attempts at this style of writing is evident in The Second Jungle Book of 1895 where he fantasizes how the tiger got his stripes in the story of “How Fear Came“. He no doubt developed the tales when he was telling bedtime stories to his daughter, Josephine or “Effie”. Kipling commented, ...in the evening there were stories meant to put Effie to sleep, and you were not allowed to alter those by one single little word. They had to be told just so; or Effie would wake up and put back the missing sentence. So at last they came to be like charms, all three of them,—the whale tale, the camel tale, and the rhinoceros tale. Tragically his daughter died of fever in 1899. Three of the stories were published in a children’s magazine. 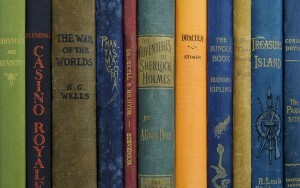 A few years later the stories were published in book form in 1902. Kipling uses an amusing and grand style of language with playful invention of words. He includes a delightful poem after each story. The reader is addressed as Best Beloved engaging a feeling of intimacy with the audience – a technique which clearly worked as the book has appealed to children since it’s publication in 1902. The book is illustrated with his own images and includes two woodcuts with each story. The images are remarkably fresh today. His skill may well have derived from inheriting some artistic talent from his father who was an artist and Principal at the then Mayo School of Arts, in Lahore, British India. Many of the stories have been made into films and musicals. For example, the Just So Stories were adapted as a 1984 musical, called Just So at the Watermill theatre in England. Also a French-British animated co-production of Just So Stories was produced in 2008. It is testimony to Kipling’s talent of writing and illustration that a rare first edition book is still in demand today and remains a collectable item. As Kipling said, Hear and attend and listen; for this befell and behappened and became and was: O my Best Beloved, when the tame animals were wild, and children are still listening. William Golding books inspiring light. “At the moment of vision, the eyes see nothing.” writes William Golding in his novel of The Spire. A book which deals with the construction of the 404-foot high spire and is loosely based on Salisbury Cathedral. Indeed visitors to the tallest tower in Britain have carefully trod in semi- darkness. That is until a volunteer guide, Robert Stiby, paid with his own money to have new lights installed inside the ancient scaffolding of the tower. Visitors are now able to marvel at the medieval structures. What has this story to do with book collecting you might wonder? As a bibliophile it is a reminder of the endurance and interest of classic authors. Golding remains a recognised novelist, playwright and poet being ranked third on The Times list of “The Greatest Writer since 1945”. 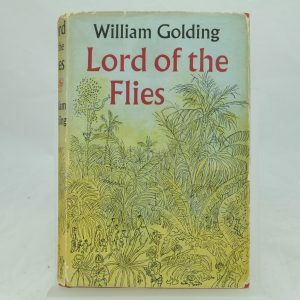 He was awarded the Nobel Prize in Literature in 1983 for his most famous work, The Lord of the Flies. Golding wrote many fine novels yet it is this book which he is most remembered for. 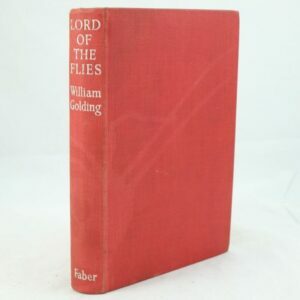 Fine copies of the classic, The Lord of The Flies, remains attractive to collectors of modern first editions. Indeed it could be argued that “A collection of modern fiction would never be complete without it” (Connolly, 136). As always the main factors affecting the appeal of a first edition book is the condition and the dust jacket. The first UK edition of The Lord of The Flies published by Faber & Faber in 1954. It features the iconic jungle artwork on the dust wrapper. The children trapped on the island blend into the wild, jungle environment around them. The US edition was published a year later in 1955. It was not popular and sold around 2,383 copies before quickly going out of print. This makes it a rare find. The dust jacket of this edition has a more dense foliage and darker colouring than the British publication. 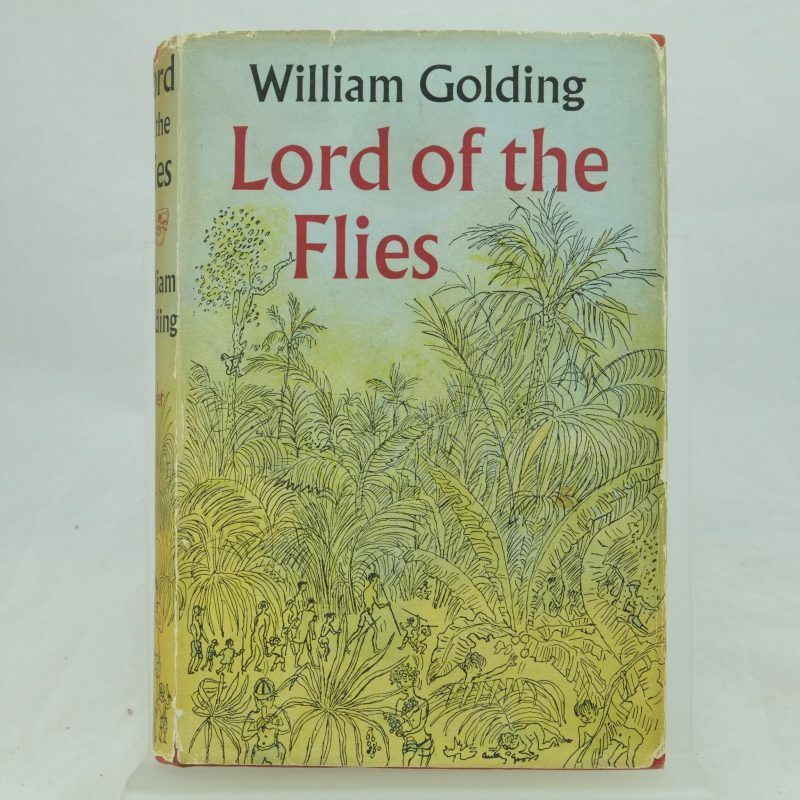 To see more modern first editions and copies of William Golding books go here. 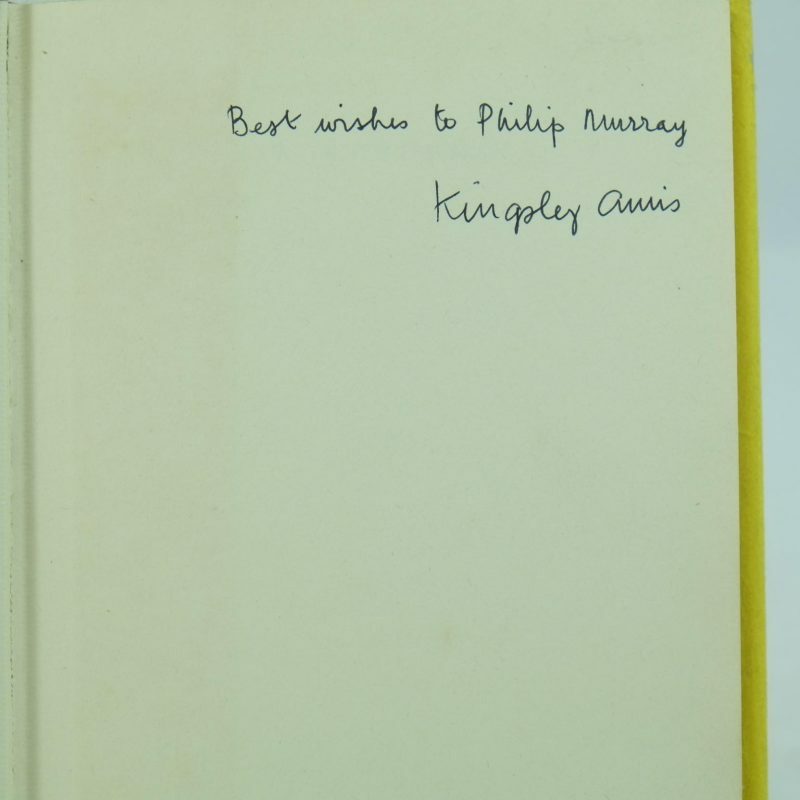 Rare and Antique Books have recently acquired four signed Kinglesy Amis books from the Dr Philip Murray Collection. It is a great opportunity to remind ourselves of the obsession of book collecting, or biblomania. Murray gamely recognises that it “is the only form of collecting other than kleptomania that has a medical name attached to it”. He is clearly qualified to make the statement because as well as being one of Ireland’s leading book collectors, he is also a doctor. Murray’s interest in books started at a young age in his home of Tipperary, Ireland. He collected the Dandy and Beano comics. His interests quickly led onto more literary works as he ventured in the many bookshops of his university city of Dublin. His passion for book collecting continued during his time abroad. Murray sought specialist catalogues, literary festivals and many, many second hand bookshops in his travels. Much of his joy was also in the befriending of authors along the way. Murray amassed an impressively rare collection of twentieth century literary fiction and poetry. Over many years he built up an extensive range of books by some of Ireland’s most significant poets and novelists. Also including the best of British, American (North and South) and European authors. Names such as C.S. Lewis, Roald Dahl, Beckett, O’Flaherty, J.B. Keane, McGahern, Kingsley Amis, Arthur Miller and many more litter his book collection. Murray’s quiet determination in sending first edition books with self addressed envelopes to authors enabled him to gather an enviable collection. A case in point is the ‘The Whoseday Book’ which contains the signatures of all but twelve of its over 360 contributors. Authors were inclined to add personal dedications which add to the charm and value of his collection. Seamus Heaney even submitted an original poem for his copy. Murray has recently sold much of his compilation to relieve his family of disposing of such an enormous and significant collection. 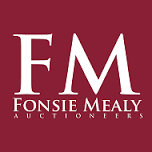 Around 2,200 books were handled by Dublin Fonsie Mealy Auctioneers in July 2016. These included Literature prize winners, Seamus Heaney, Gabriel Garcia Marquez and Patrick White, attracting world wide interest and high prices. Dr Murray describes the excitement of his “obsession” in his book, “Adventures of a Book Collector” ( Currach Press, 2011). Many a bibliophile may well relate the the joy of finding a gem of a book. The thrill of the chase is one feeling that many a book collector will recognise, even if the finding is now often in online purchases rather than in dusty corners of a book shop. The comradeship of discussing the merits and pleasures of a special book is a special experience. Murray explains it beautifully. “When I started collecting books, I wasn’t to know that it would turn into a lifetime pursuit and would give me such pleasure in both reading some great books and making many valued friendships”. Holding a book that Murray gathered for his collection allows a moment of reflection on the joys of this crazy obsession, Bibiliomania! The memorial for The Battle of the Somme have been a remarkable and sobering reminder of the fall out from war. The battle took place between 1 July and 18 November 1916 on both sides of the River Somme in France. It was one of the largest of World War I. M ore than 1,000,000 men were wounded or killed, making it one of the bloodiest battles in human history. The UK has seen many events to mark this tragically important historian event. A local commemoration to mark the date was The Shrouds of the Somme. 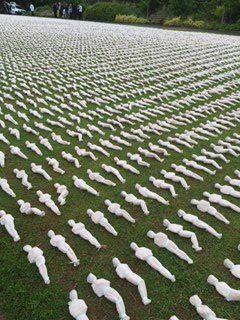 The artist, Rob Heard created 19,240 shrouds to represent the 19,240 soldiers who died during the first day of the battle. They are arranged in rows on the ground as a way to physicalise the number of dead and to illustrate the enormity of the rare horror. The 19240 Shrouds of the Somme project describes the process. “Each figure is associated with a name so that each soldier is individually acknowledged and remembered. Rob works his way down the list, crossing off one name each time a soldier is created as he reflects on their individual experience. He creates the figures unaided, cutting and hand-stitching their calico shrouds, covering and binding them in a ritual of creation, remembrance and personal introspection. As each soldier is wrapped they take on their own form, twisting and bending into their own unique shape – not only representing the dead – but death itself. The sight of the figures both individually and collectively presents a poignant and provocative experience for the viewer, providing a moment for reflection within themselves about the physical reality of the war, in approximately 1:6 scale.” It is a poignant and emotional piece of work. The BBC also repeated the film, The Wipers Times, which was first broadcast in 2013. It tells the story of Captain Fred Roberts discovery of a printing press in the ruins of Ypres, Belgium in 1916. With the help of ex-printer Sergeant Harris and with his friend Jack Pearson as his assistant, he sets up the satirical, Wipers Times. The name “Wipers” being the soldiers’ slang pronunciation of the town Ypres. Full of gallows humor the paper was poignant, subversive and very funny. Enemy fire nor authority and gas attacks halted the production of the magazine. It proved to be a huge success with the troops on the Western Front. It was, above all a tribute to the resilience of the human spirit in the face of overwhelming adversity. In his spare time Roberts also managed to win the Military Cross for gallantry. The William Nicholson’s play “Shadowlands” is currently touring the UK portraying the remarkable romance between C.S. Lewis and an American called Joy Davidman. It provides opportunity to be learn more about the personal life of the bachelor academic and author and to be reminded of the works of C.S. Lewis. His books have been translated into over 30 languages and sold over million copies. The interest in him and his books does not seem to wain. Born in Ireland, as a youngster Lewis had an interest in anthropomorphic animals, mythology and Norse legends. These early interests developed into studies of theology, poetry, and academic to name a few of his talents. He went onto hold academic positions in Oxford and Cambridge University. He is probably best know for his epic series, the Chronicles of Narnia, of which The Lion, the Witch and the Wardrobe (1950) is the most popular. The Narnia books are some of the most sought after books by collectors. The works are all more valuable in their original state rather than rebound, particularly if the dust-jackets are well preserved. 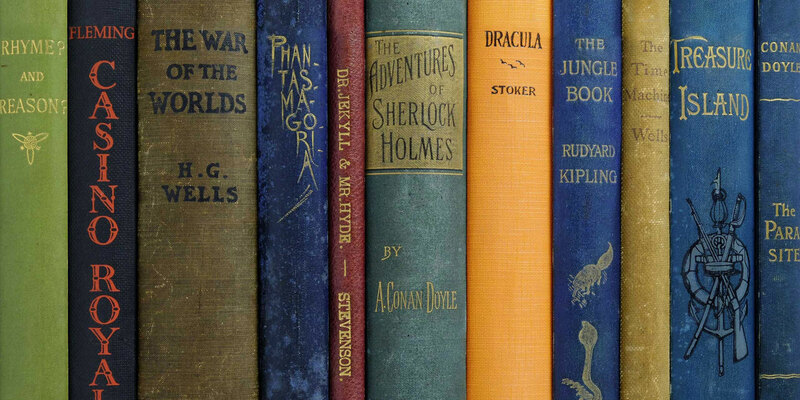 First editions of the Chronicles are often kept as a complete collection although individual volumes can achieve hundreds, sometimes thousands of pounds, especially if they are signed. For example, The Lion, The Witch and the Wardrobe, first edition (1950) signed by the author, sold for £17,000 in October 2010 at the Bloomsbury Auctions. Or a price of £4,200 was achieved for The Last Battle, The Bodley Head (1956), first edition with dust-jacket, signed by the author at Sotherby’s in July 2007. Lewis’s other notable works of Mere Christianity and The Ransom Trilogy are also popular and rare to find in good condition with their dust jackets. The Heritage Auctions achieved a sale of $5,676.25 in April 2007 for The Ransom Trilogy, first editions (1938, 1943, 1945), in a dust-jacket. 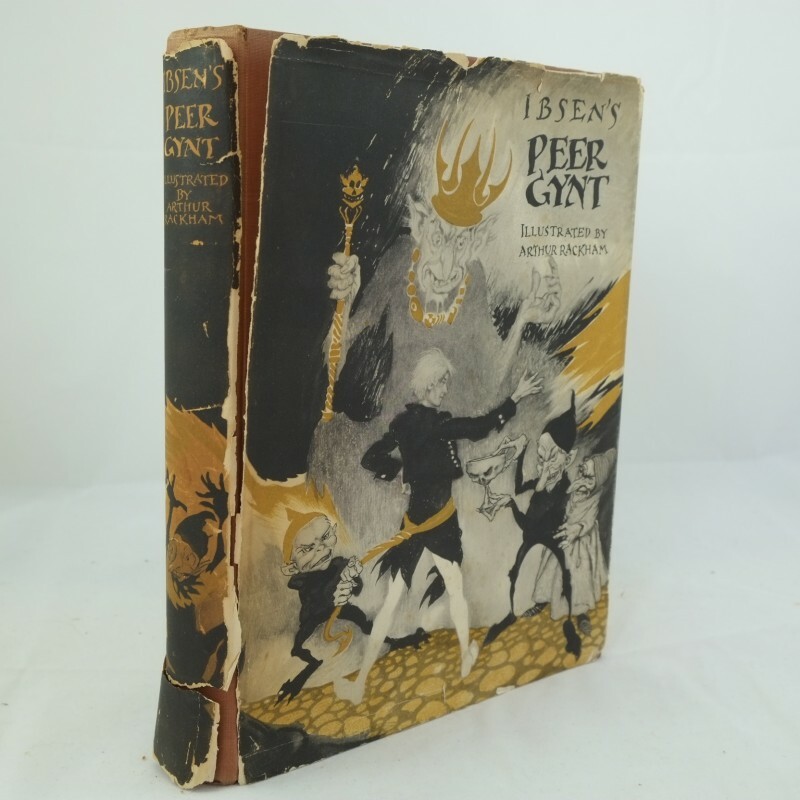 C. S Lewis completed works remain valuable and collectable items. Yet it is charming to also see that the personal effects of this remarkable man are also valued. A collection of unpublished correspondence between C. S. Lewis and his wife Joy, sold for £4,025 in April 1966. Lewis achieved exceptional success in his literary career and Shadowlands shows that he achieved much in his personal life too. To see more works of C. S. Lewis go here. 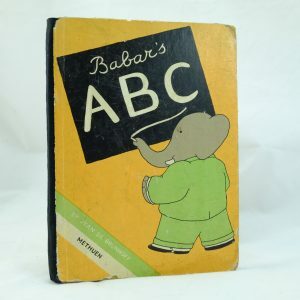 Rare and Antique books has just acquired a rare first edition Babar’s ABC published by Methuen, London and what a charm it is! his son, Lawrence, continuing the legacy writing and illustrating thirty more titles. 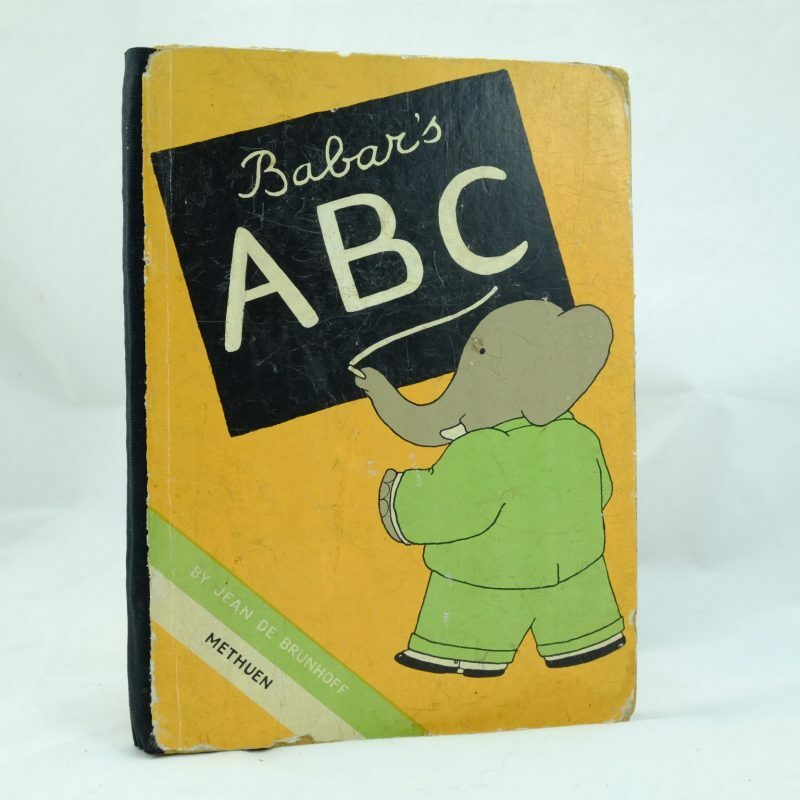 The London publishers, Methuen, released their first edition of the alphabet book on October 14th 1937 and their second publication was in 1949. In order to be able to identify the objects on the page a child would need to be fairly fluent in French – maybe a rare ability at the time! 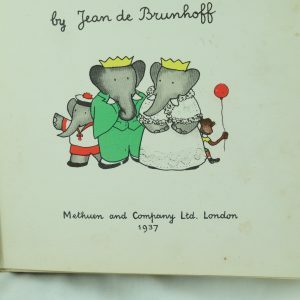 De Brunhoof did assist his readers by providing a list of French and English words listed alphabetically at the end of the book. However, it is a challenge to identify all the words on a given page – how many of the words for the illustrations for the “B” page can you find? 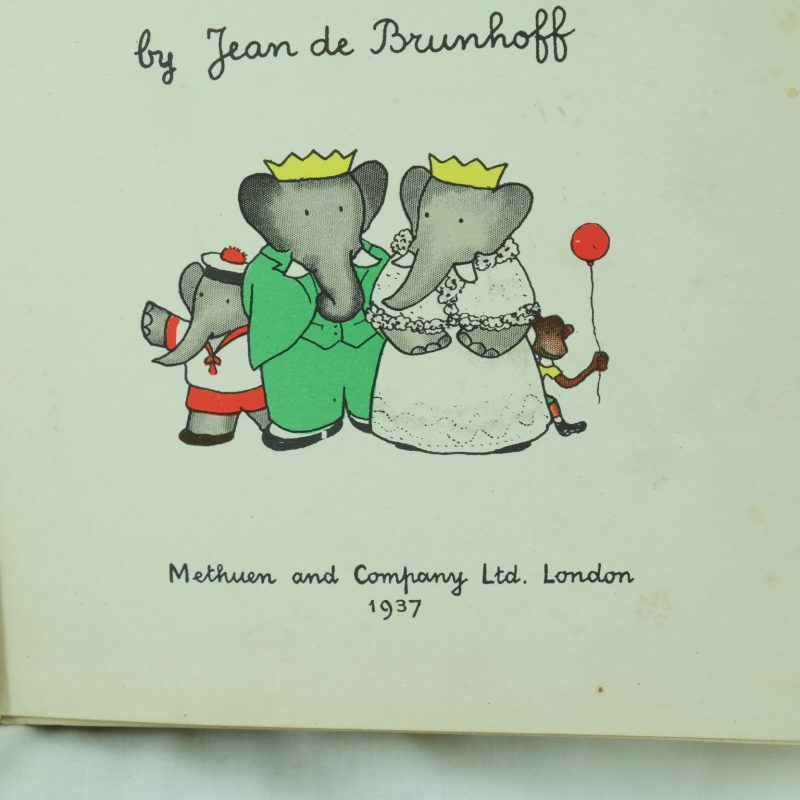 A rare collection of the original sketches and hand coloured proofs of the 1934 ABC de Babar have been gifted by Laurent de Brunhoff, the son of de Brunhoff, to the Houghton Library at Harvard University and are displayed until August 31st. It is a chance to see eighteen of the images from the preparatory stages of the book and glimpse into the creative process behind the books. Failing a viewing at the exhibition have a look at the Babar books here to understand their enduring the appeal since their time of publication in the 1930’s. Keep your books upright on a shelf – unless they are large folio sized and then it’s best to lie them flat. Be careful not to lean books which may warp them so use other books or book ends to support the books – but not too jammed together! Take care when removing books from the shelf so the spine is not pulled away first. This is especially true if the books are a little fragile to start with. Check that the tem perature of the room is constant – any extremes of hot or cold, wet or dry may cause problems with mould from fungi, drying out of fine leathers or bleaching from sunlight. Hot radiators or damp corners are obviously to be well avoided as is a “sunny spot”! The ideal temperature of the room should be within the range of 16 to 19 degrees centigrade and humidity within 45 – 60%. Preferably both temperature and humidity needs to be constant and not variable. Measuring the temperature and humidty can be done with thermometer of a portable electric thermohygrometre or hygrometre if needed. All books should be handled and stored with care, in order to preserve their good condition or to prevent existing damage becoming even worse. Remember that modern first edition books printed from the mid-19th century onwards are often printed on mechanical ground wood pulp paper, which often has a high acidic content and can quickly become discoloured and brittle if not kept in the right conditions. A specialized clear jacket cover can be helpful to protect valuable dust jackets and avoid finger marks. Caution is required when eating and drinking around fine books! A note too about keeping books together – don’t use elastic bands to hold groups of similar books as these will dry out and become brittle – much safer to use a cotton tape. Needless to say sellotape and rare books do not go together! Books that are left on shelves for a long period will collect dust and this could encourage the growth of mould. Cleaning a dusty book is best done by carefully brushing a closed book’s pages with a soft dry paintbrush – brushed away from the book shelf to clear the dust away. As well as dust collection silverfish or bookworms may infiltrate a fine book collection. These can be identified by the traces of larvae droppings called Frass which is usually found under the spines of books. There is a large difference between light dusting to clean a book and repairing a broken hinge or page tear! If your book has a problem with it carefully think before embarking on a restoration project – is the value of the book worth less than the restoring bill? If so then it’s probably not a great idea unless the book has sentimental value. It’s worth remembering that restoring a cover is not to make the book look new again, but to make it look good for its age. Repair jobs are tempting – how difficult can it be to simply glue back loose pages! But of course, badly repaired bindings, hinges or covers will devalue a first edition or rare book. Seek a reputable restorer and they may well be able to treat additional damage, spotted or stained material to reduce further erosion from dirt and oils. Leather covers can have restored color and luster. Cloth covers can be cleaned with water-less methods and in some cases cloth can be recolored. However do check that any washing will not shrink dust jackets. Bindings can be repaired by sanding down boards, gluing spines and attaching free pages to the cover before a final finishing of the cover – all not to be done lightly so a job for a skilled professional. Remember the condition of books is crucial so a first edition book with no damage is more valuable than a copy with missing pages and weak bindings- or even worse a badly repaired edition! 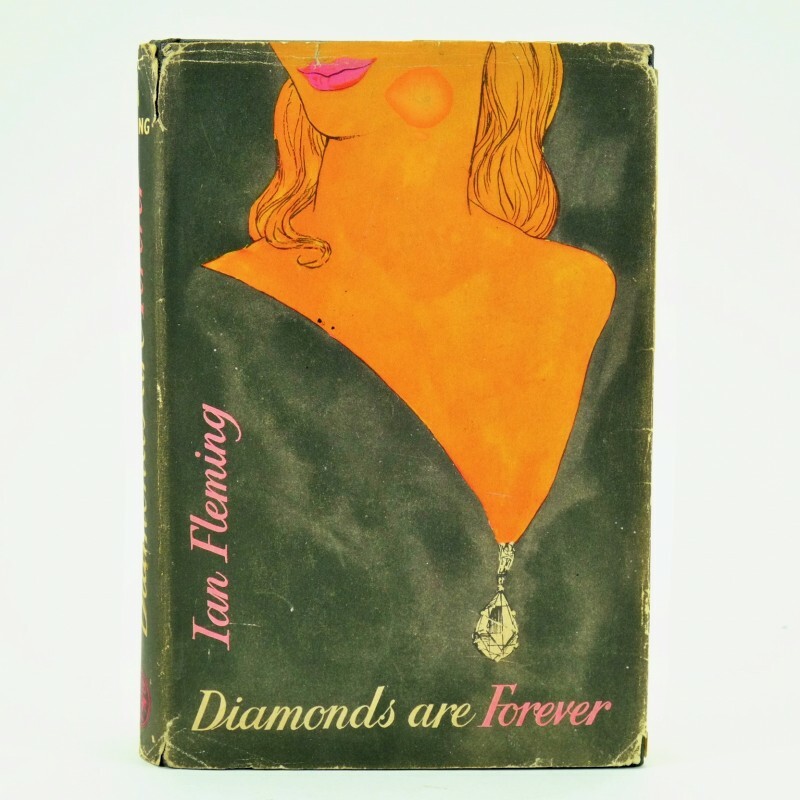 Last weekend (27 & 28 May), Rare and Antique Books exhibited at the PBFA London International Book Fair – ILEC Conference Centre. These are our highlights of what was a successful two days. Firstly it’s fair to say that, as booksellers, book selling is what it’s all about, so on that front it was a success. We sold two Ian Fleming first edition books, Diamonds are Forever and From Russia With Love. Both sold fairly early on so a good start to the Friday, having already put two books aside for Pom Harrington of Peter Harringtons. We were also pleased to say that a Japanese buyer had arranged in advance to take a look at our early edition of Beatrix Potter’s, Peter Rabbit, who subsequently bought it, as well as our signed, limited edition of Arthur Rackham’s Book of Pictures. We sold an early edition of Bram Stoker’s Dracula to an American buyer, a third edition of Dickens’ Oliver Twist and a few others too, so a good fair for us. Such fairs are also an opportunity to acquire rare books and modern first editions, and we added some crackers to our stock. We specialise first edition Lewis Carroll books, so jumped at the opportunity to add a French first edition of Alice in Wonderland – titled Aventures D’Alice au pays des Merveilles, dated 1869; a rare edition and one that will be listed shortly on our site. Among our other highlights of rare books purchased was an original first paper cover edition of Strange Case of Dr Jekyll & Mr Hyde by Robert Louis Stevenson, with the date hand changed by the publisher from 1885 to 1886, and a beautiful first edition copy of Bram Stoker’s The Lady of the Shroud. Both too will be listed very soon. With respect to the modern first edition highlights, we acquired a fine first edition, second impression copy with it’s original jacket of George Orwell’s Animal Farm and a first edition, first impression of Graham Green’s The Third Man, again with its jacket. But it’s not really just about being a bookdealer. We met many interesting people, marveled at the specific and niche subject matters some punters collect books about (and there are some really unusual ones!! ), made new friends and had some fun. Two days very well spent. Being from Exeter, we even got home in time to watch the recording of our home rugby team – The Exeter Chiefs playing in the final of the Rugby Premiership at Twickenham. So proud too!